The market is held on the first Saturday of every month in the 400 year old market square in the centre of this ancient town. Starting with a few tentative trial markets in 2001, the market became a monthly fixture of the town in October 2002 and is still as popular as ever! Axbridge provides an ideal setting for an outdoor canopy market and offers a great selection of about 25 stalls. 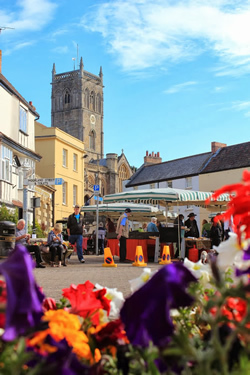 The picturesque square has excellent hotels and cafes, King John’s Hunting Lodge Museum and can provide a base for exploring nearby Cheddar or the Mendip Hills. 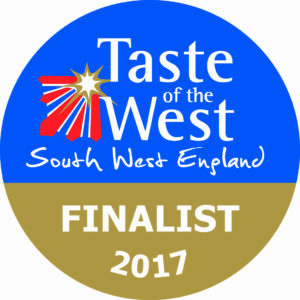 The market has been shortlisted for Taste of the West’s Best Farmer’s Market category two years in a row. Parking/transport: Axbridge Town Car Park on Old Church Road and a smaller car park on Moorland road are a short walk from the market. There is also on-street parking on Houlgate Way – please be considerate of driveways etc. Please do not try and park in the Market Square, there is almost never a space on market day. The 126 bus service to/from Wells and Weston-super-Mare stops in the Square. 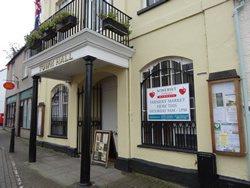 Accommodation: There are a number of places to stay in the local area, The Oak House Hotel is right on Axbridge Square and they will refrigerate your perishable purchases from the market for you. Barley Wood Kitchen Garden Organic Fruit and vegetables from a beautiful Victorian walled garden near Wrington. 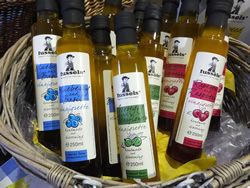 Fussels Fine Foods Farm based single cold pressed extra virgin rapeseed oil and a range of rapeseed based products. G.M. Country Sports Game in season plus venison year round. Mere Fish Farm Fresh trout reared in spring water, also hot and cold smoked, roulades and terrines. Nutts Scotch Eggs Scotch eggs as you’ve never tasted them before! Somerset Charcuterie Salami, chorizo and cured meats. 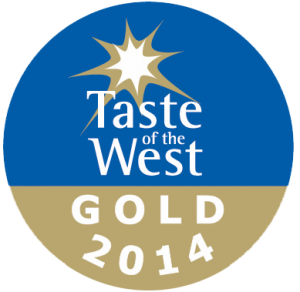 Made using traditional artisan methods, Somerset ingredients and west country flavours. Taylors of Bruton Third generation family run artisan bakery. The Great Cake Company A delicious range of gluten free cakes and chocolates. West Country Water Buffalo A lower fat tasty meat fed only on grass and silage. Chosen as the ‘Best Somerset Meat Producer’ in the 2010 Taste of Somerset awards. Wootton Organic Dairy Award winning sheep and cows cheese and yoghurts.